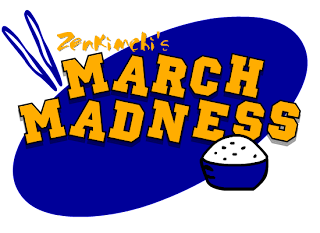 Things have already gotten underway over at ZenKimchi for the Korean food battle of the year. Pitting some of Korea's best loved foods against each other in a battle to the death, it's time to find out whether Kimchi can conquer Bulgogi or if Andong Braised Chicken will crush the hopes of the humble Grilled Fish. Spam soup isn't winning, and I'm quite sad about it. But my faith in humanity is temporarily restored. Now... if only we could rally the votes for Gobchang!